Kirkjufellsfoss is a classic waterfall in west Iceland. The name means “church mountain falls” and it comes from the peak in the background that is shaped kind of like a church. Personally I think the mountain looks more like a wizard hat, which would be fitting because this location also looks like a scene from Lord of the Rings. The waterfall is actually a group of 3 falls dropping into a river. Kirkjufellsfoss is a bit remote since it’s on the Snaefellsnes Peninsula, but this is still an iconic spot. Nothing screams ‘Iceland’ quite like this place. 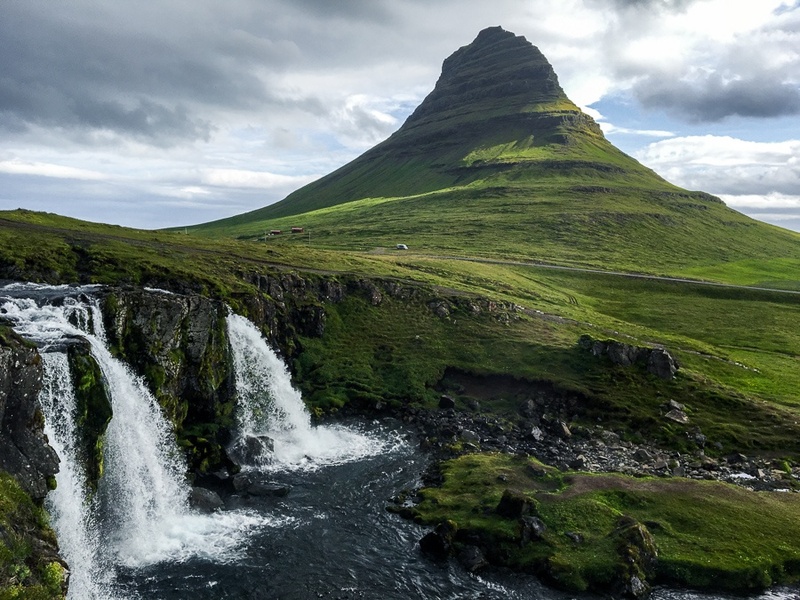 If you’re planning to visit the Snaefellsnes Peninsula (which you should, because it has lots of great spots), then be sure to add this waterfall to your list! Kirkjufellsfoss is located on the Snaefellsnes Peninsula, about 110 miles (180 km) northwest of Reykjavik. It’s a 2.5 hour drive to get here from Reykjavik, but I think it’s very worthwhile, especially if you combine it with some other sights in the Snaefellsnes Peninsula! From the parking lot, it’s just a 5 minute walk to the falls. No hiking or entry fee is required.